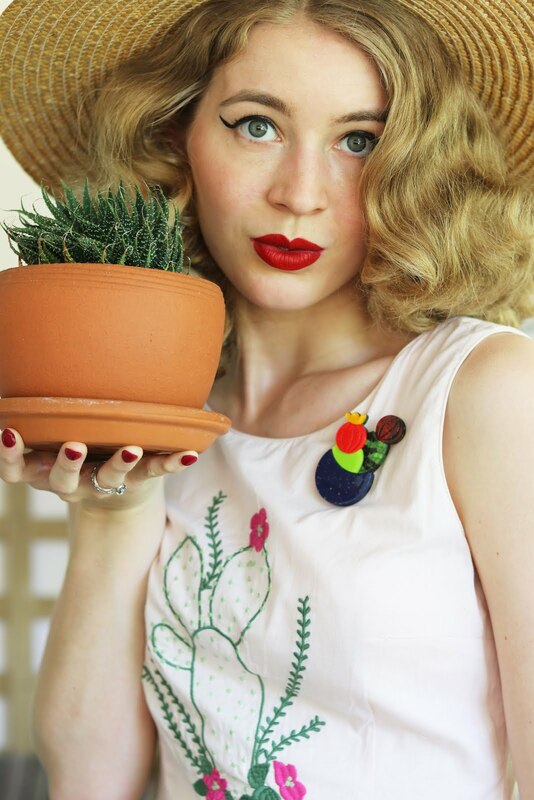 The South American Socialites collection is the latest release by Erstwilder, check out three of my favourites! Look, if there's one thing I really love, it has to be Sloths... 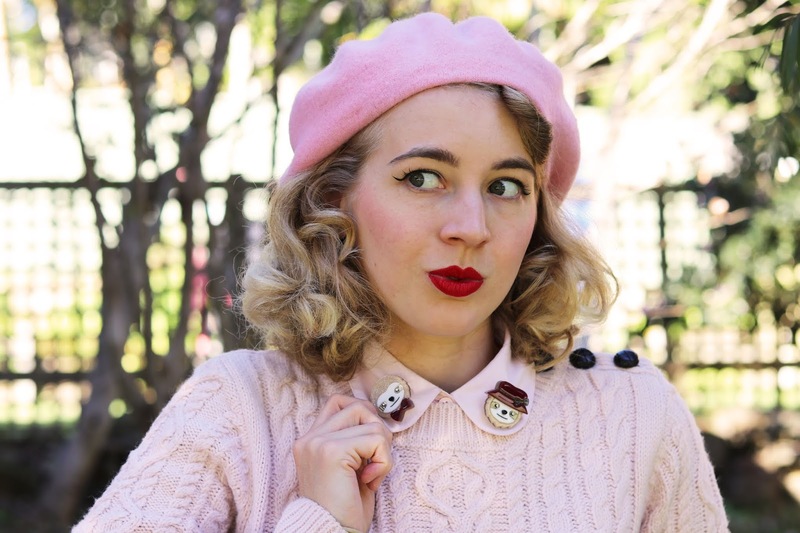 This mini sloth brooch set has to be one of the cutest Erstwilder designs that I now own and they're a really great size too - not to small or to big. They fit really nicely on this collar without being too heavy which means they will be included with lots of my outfits, so adorable! 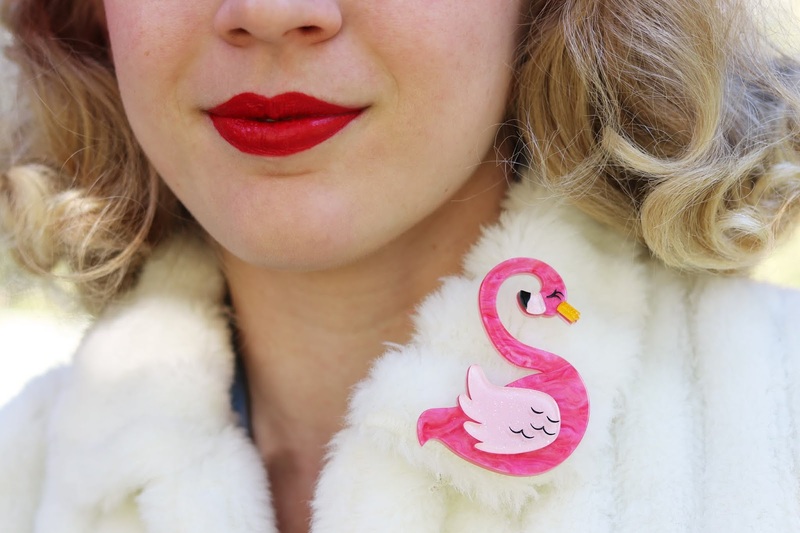 I also love a good flamingo accessory and this brooch is so elegant! Francie is royal with her crown and the pink tones are just so pretty, she's a little bit dainty and full of gorgeous detail. 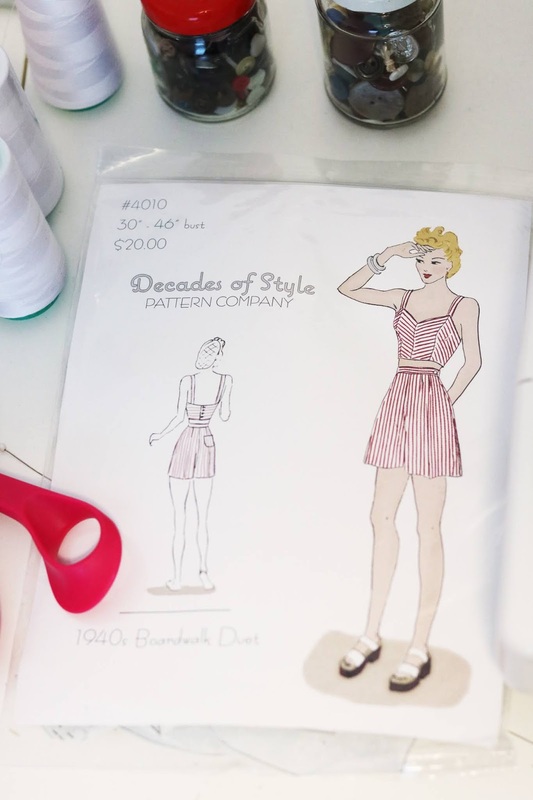 I'm just thinking of all the beautiful dresses and cardigans that I can pin beautiful piece this to! Macaws are absolutely beautiful birds aren't they?! But how cool is Corey with his high-top sneakers and hat! 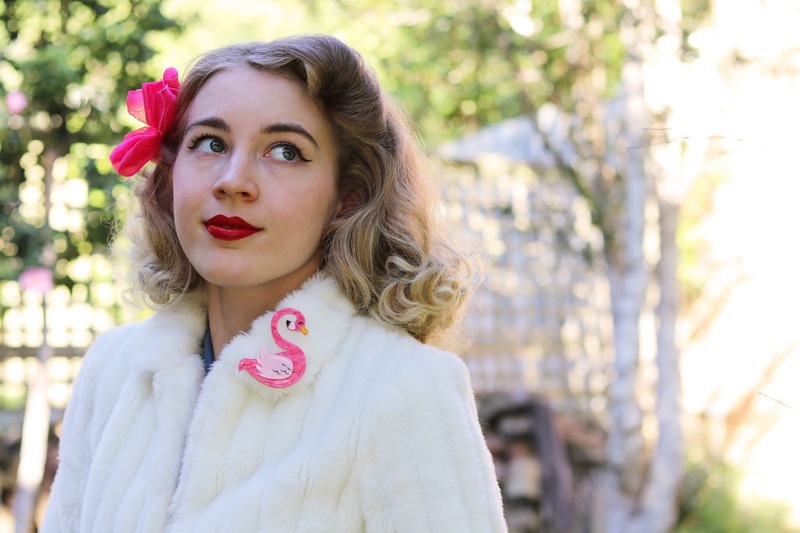 This is brooch is slightly larger than some of my other Erstwilder bird brooches and I think that replicates the stature of these birds in a way... Well in brooch form that is. I love the vibrant yellow and blue that make this gorgeous design really stand out! 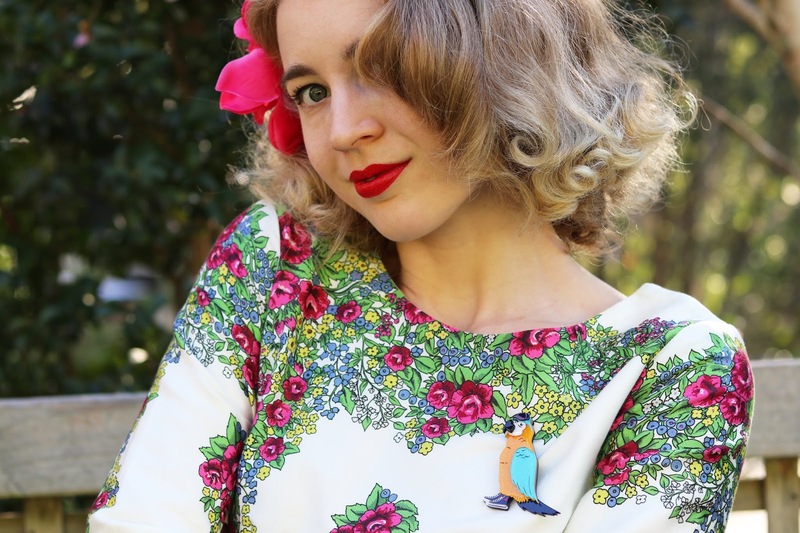 I'm loving this whole quirky collection but the sloth set has to be my most favourite because how can you not love sloths and a matching brooch set that sits so perfectly on your collar?! 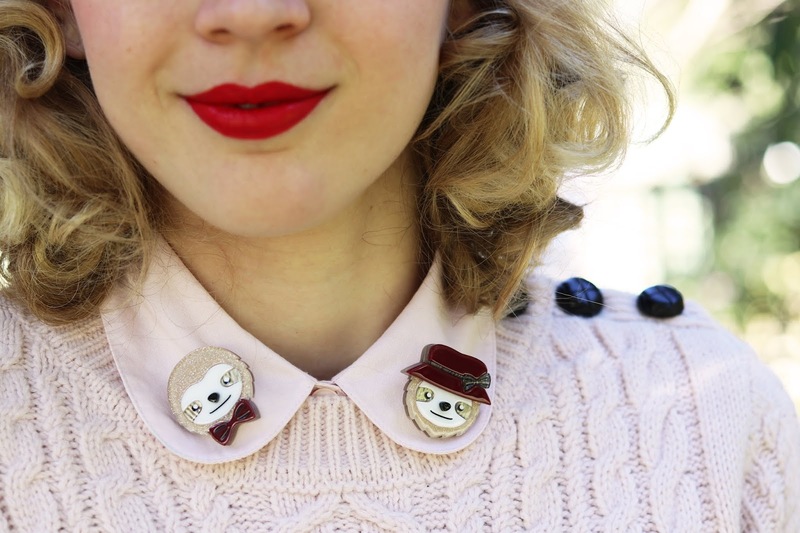 I feel like the sloth set will be a go to accessory to pin on lots of my collars and chunky jumpers this season, too cute! 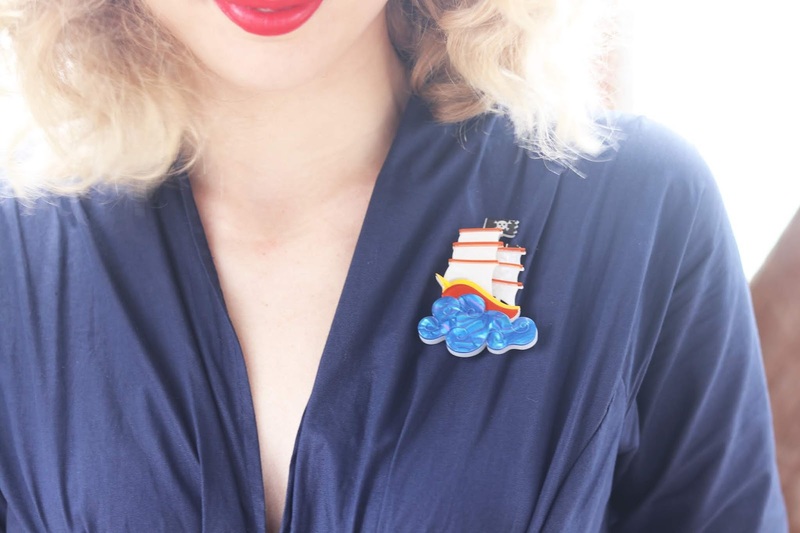 Be sure to check out the full range here! I say 'the navy dress' in the title because I'm certain this is now one of the best ones I own, because I love everything about it and has such a beautiful fit. I've already worn in a handful of times! 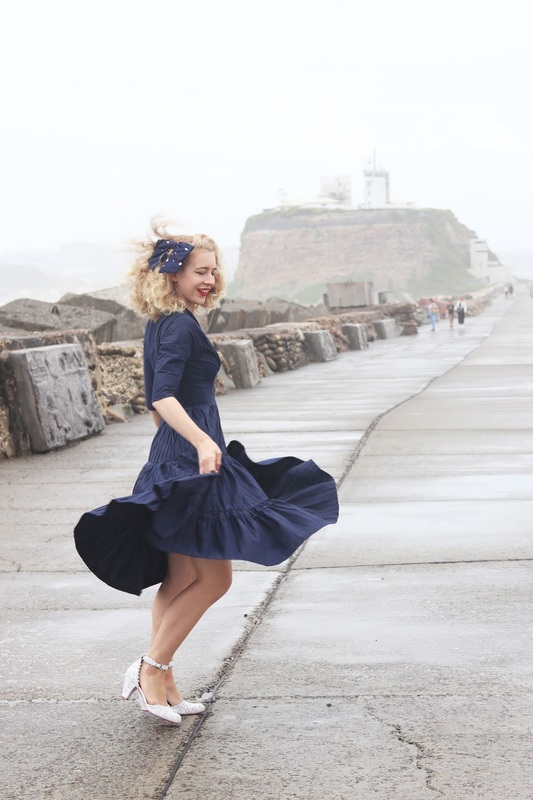 About a month ago when I was in Newcastle I wore this beautiful dress out for the day. 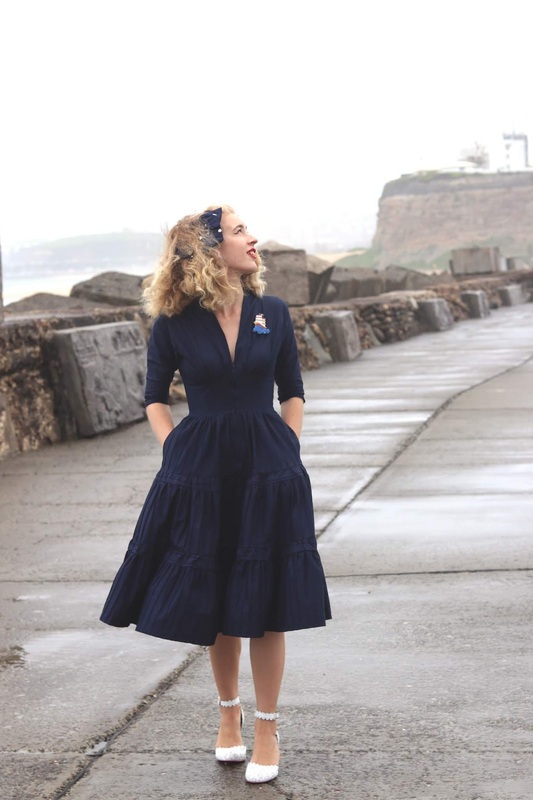 It was a cold and rainy day which was perfect for a dress like this, the navy colour was fitting for the seaside visit too. 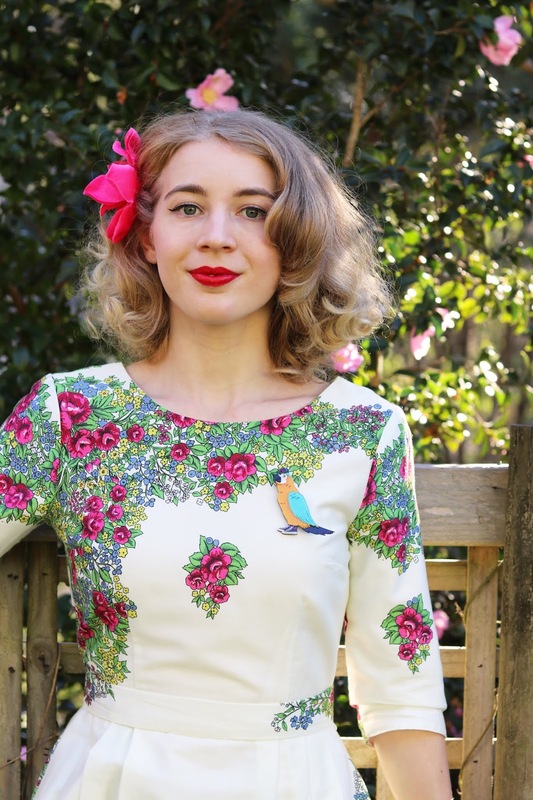 This would have to be my favourite Unique Vintage dress, it's a beautiful design with an amazing fit and I have worn it a good few times since it arrived it, this is an Autumn/Winter staple already. I really love the front zip and hook at the front of the bodice for getting in and out of it, it's a subtle design detail and I think it also add to the beautiful fit of the dress. 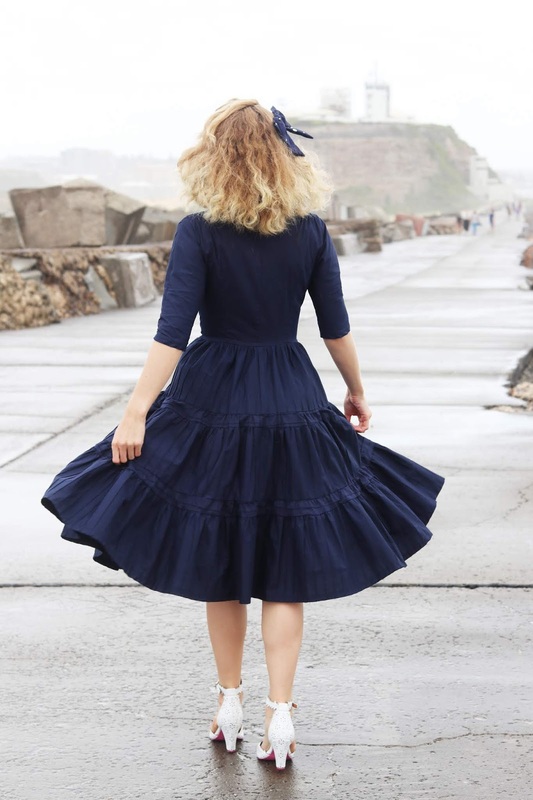 The skirt is very full and as you probably already know I don't wear petticoats very often, rarely even and it has beautiful volume on it's own. 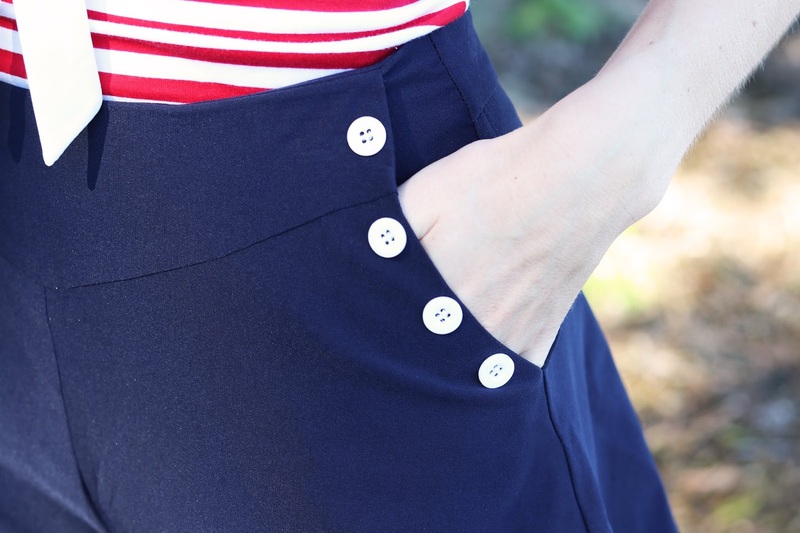 The sleeves are another great feature and elegant length with plenty of room for comfort and movement. 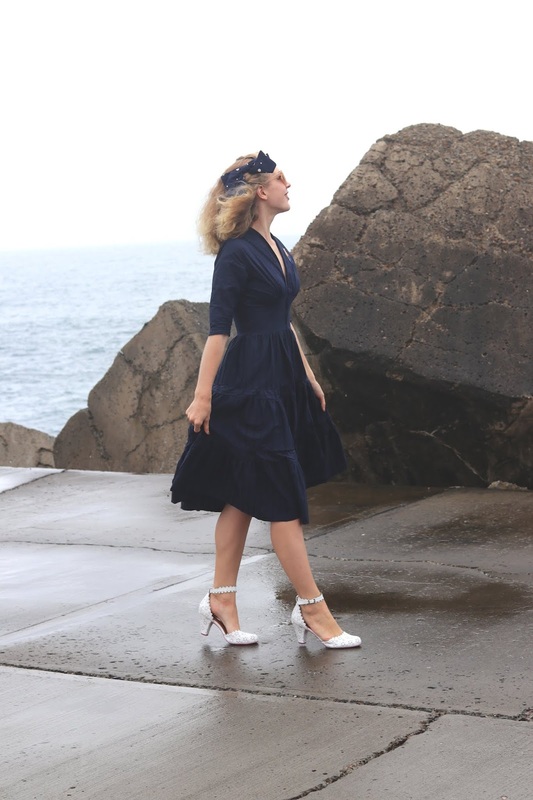 I am wearing size small and the fit is just gorgeous, as you can tell I am pretty much in love with this dress, it made me feel great all day even if the rain and sea mist made my hair wild. This weekend has been really cold, I spent the day catching up on the second season of The Handmaid's Tale and watching Netflix snuggled up in a blanket with a bit of sewing in between. I'm off to have some of the leftover stew I made last night with sweet potato mash. 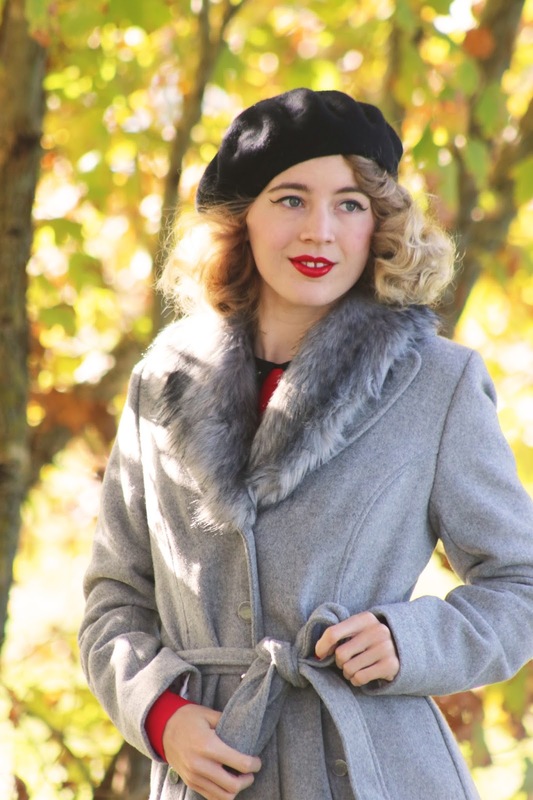 Review Australia has released some of the most beautiful pieces for Autumn, I'm featuring this amazing red dress and beautiful grey coat which work so well together! 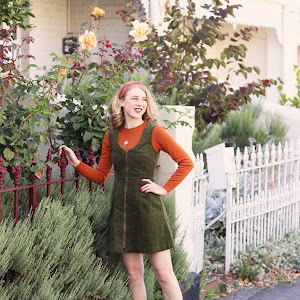 I was determined to find some beautiful golden Autumn leaves for photos with this outfit and I was so happy when I did come across some that weren't on a busy road or somewhere inconvenient. This dress is hands down one of the most gorgeous dresses and oh my gosh it's so comfy! 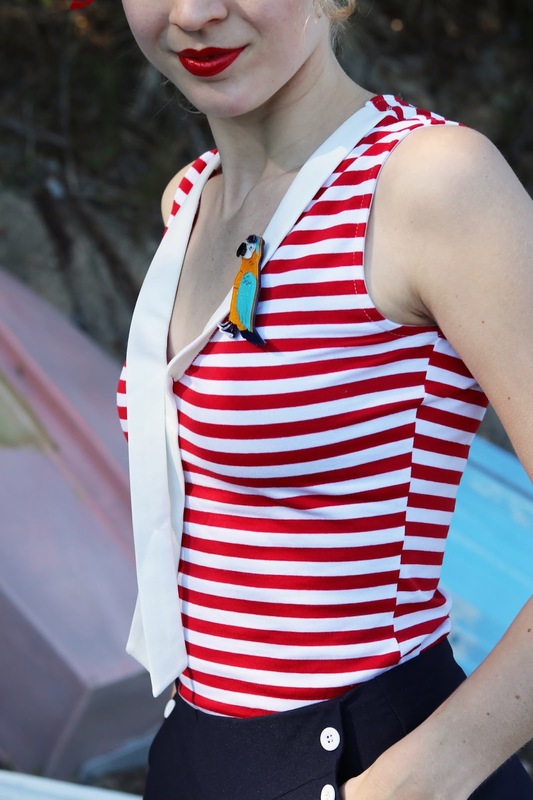 There is no zip, just a button at the back of the neck, it's made of stretch material which also creates a gorgeous fit. It's so simple yet so chic and this dress just ticks all of the boxes. 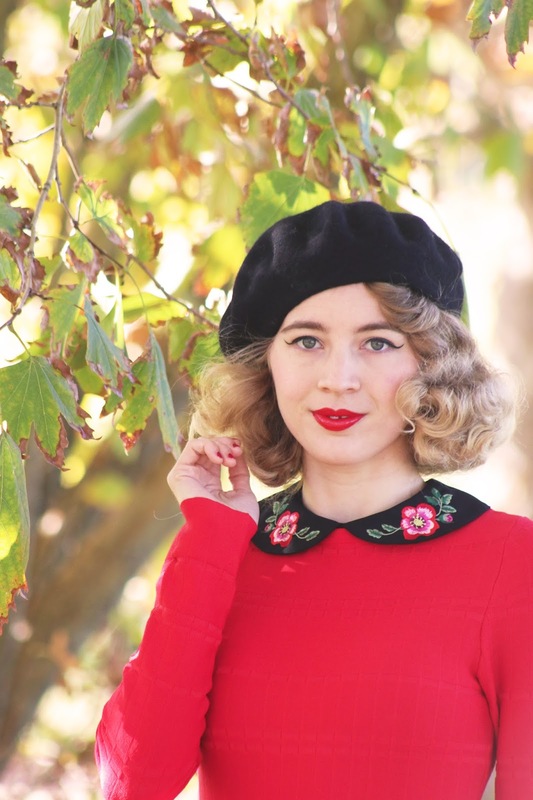 I styled it with black tights and a beret and I think that really shows off the vibrant red colour even more. 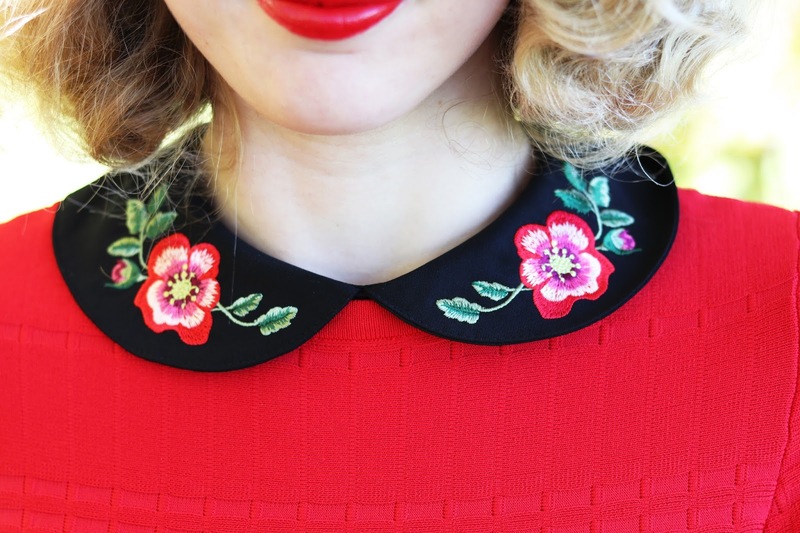 I'm also in love with the embroidered collar, this is also detachable but I love it on. 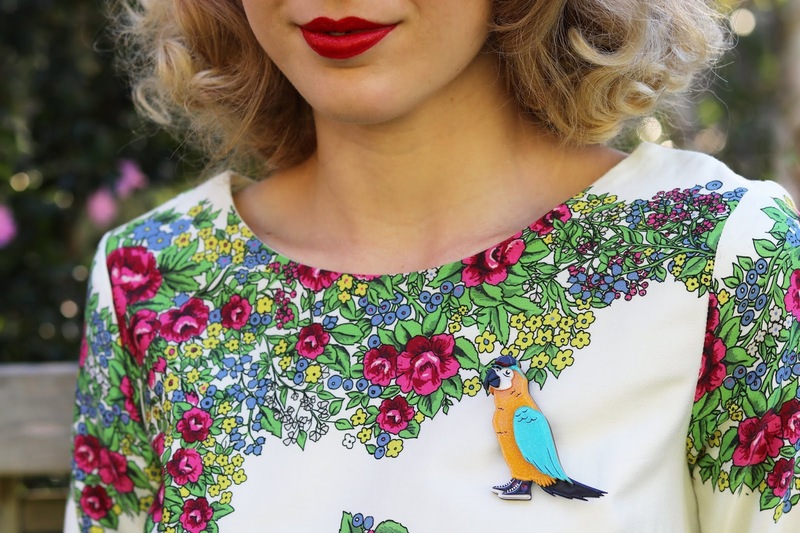 I'm a sucker for little embroidered details like this! 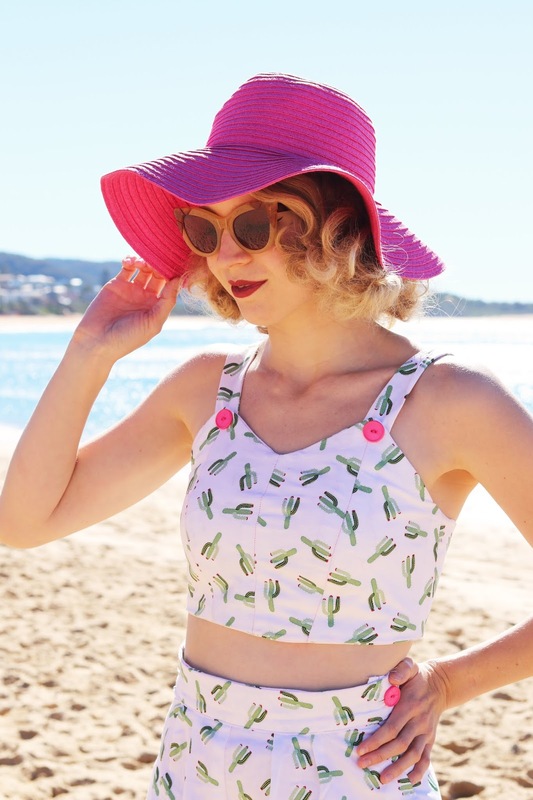 I am wearing size 6 as advised by Review and I couldn't be more happy with the fit of this one, it fits me so well but I am not restricted at all. 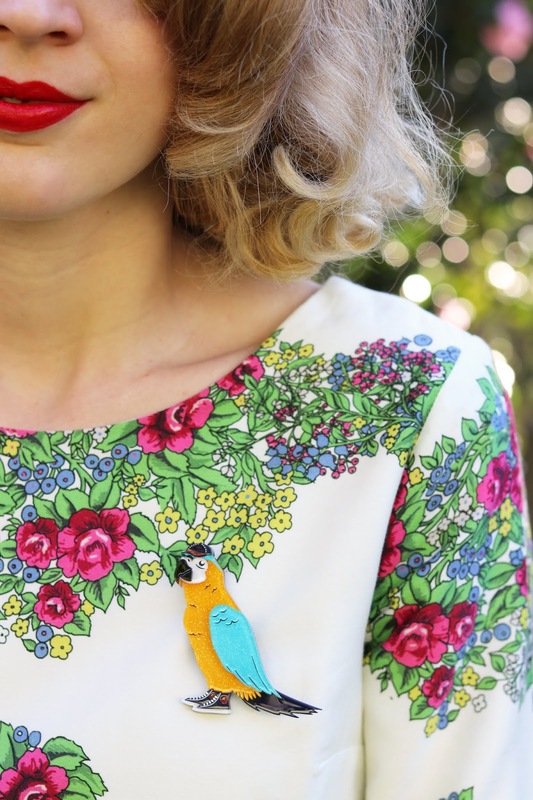 I can be a bit fussy with full sleeve dresses, this one is the best I have come across and something I can see myself wearing regularly... It's also very warm too. Now onto the coat which is also amazing, it's so super luxurious. 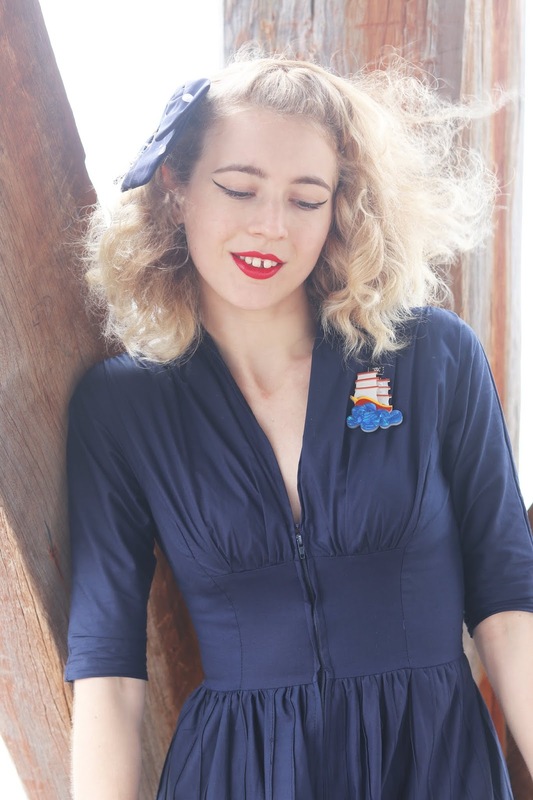 It's fully lined, has beautiful buttons, pockets, gorgeous lining and it has a detachable collar. I have always wanted a grey coat and am wondering why it took me so long to take the plunge. Grey clothing is one of my favourites (not that I wear a lot of it) and I adore this beautiful coat, it's such a lovely shade of grey too, the lighter grey contrasts so nicely with the bright red of the dress. I was so warm and snuggly shooting these images, I didn't want to take it off to shoot the dress haha. I always size up for coats and so I went for size 10 which is a great fit and just how I like my coats, I never like feeling restricted in my arms and shoulders and it's also nice to have room to layer. 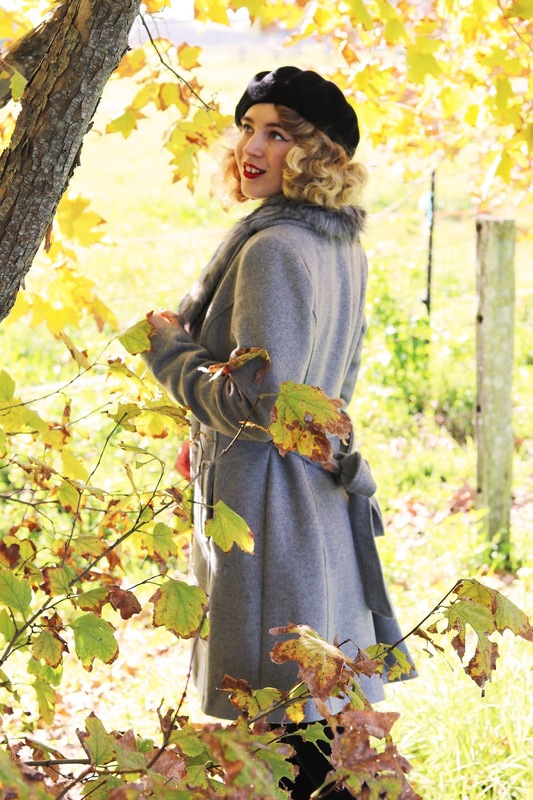 Thank you Review Australia for keeping me warm and stylish for the cooler weather!